It was a wild summer—definitely the craziest offseason of my career—and I’m definitely relieved that it’s over, and that it’s nearly time to play basketball again. In a lot of ways, the first part of it flew by. Up until July 1st, when I was supposed to be relaxing and resting, my mind was racing with questions about free agency. Then I made my decision, and the aftermath of that was stressful, too. The Utah Jazz family, and I do mean family, have done so much for me, and it tore me apart to disappoint anyone and everyone associated with the Jazz. But it was a moment in my life where I had to make a decision that was best for me and my family. I will always have nothing but love for the entire Jazz organization and all of the fans. I only hope that as time goes by, everyone will realize I gave every ounce of energy I have to the fans, my teammates, coaches, and front office in Utah. I wish them all nothing but great success going forward. But as I get ready to begin a new chapter in Boston, I want to talk about everything else that happened over the past few months. The superstar who recruited me to come here is gone, and another one is here in his place. I have a (sort of) new coach and a new set of teammates, and a new city to play for. There’s a lot to talk about. When the rumors about Isaiah Thomas and Kyrie Irving started, I tried not to worry about it too much. This offseason especially, there have been so many rumors, and so many different things have happened. 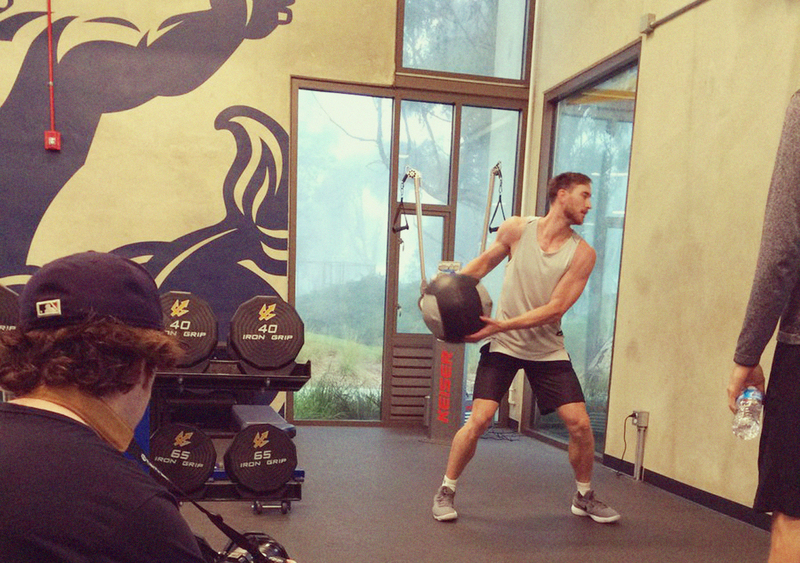 I really was just focused on continuing to work out, continuing to put the time in. All of a sudden, my friends were hitting me up, asking me about it, if I knew anything. At that point in time, I didn’t really know too much. I just knew what everybody else was seeing on Twitter. I talked to Al Horford about it, and he was kind of in the dark as well. Then when it finally happened, I got a call from Danny Ainge and we talked about it, and I talked about it with Coach Stevens as well. My first reaction was to text I.T., and wish him the best. That was a really strange moment because I’d really been looking forward to playing with him. He didn’t just help recruit me to Boston—he was a big piece of that recruitment. He had talked a lot about city and how it was different to be a Celtic. 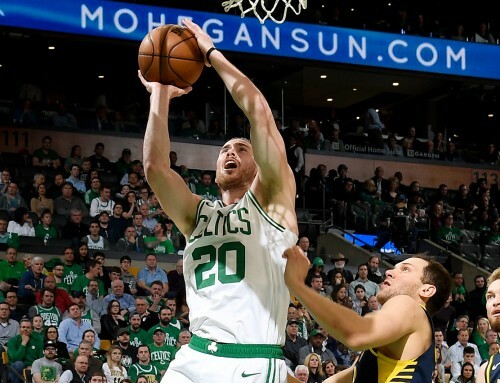 He talked about the intensity of playing in the Eastern Conference Finals, playing at the Garden in the playoffs, and how much fun it was, and how much fun he had playing in Boston. All of that ultimately helped win me over. And by the time of the trade, I had already started to build a little bit of a relationship with him. But that is just how the business works. I have spent enough years in the NBA to realize that things can change like that, in an instant. Still, even though we didn’t necessarily get to be teammates, I’m definitely going to be watching him as a fan. In this league, I think we are all rooting for each other in some way or another—just to try to stay healthy, to try to be the best we can be. Being able to play with Kyrie is an amazing opportunity. He’s a guy who can really do it all. He has the ability to score one-on-one, score in clutch situations, get his own shots. He’s also a playmaker, and someone who can make the game easier for me. He’s going to give me more space, because the defense has to respect him. Whether he’s driving, or because somebody shifts off of me to go to him, and he can kick it out, I will have more space. Just his presence on the floor will do that for me. And of course, I can always kick it right back to him, too. The fact that he can score as well as he does and finish as well as he does—it just gives us another huge weapon. And that’s just his impact as far as basketball goes. When it comes to his experience, he’s done it all. He has been through the lows when he was first in the league, playing as a rookie. Going through that ultimately helps you become a better player. And then getting a chance to play with LeBron James, and going to the Finals three straight years—those are experiences that are invaluable and that you really can’t teach. Having that experience of playing in those big moments, dealing with the circus of the media, dealing with expectations, those are all things that I think he can help us with. Because most of us, myself especially, have never been through that. There’s a lot about the coming year that’s going to be new. When it comes to basketball, I’m also entering a new system. Given what a competitor and strategist Coach Stevens is, I’ve been working on learning his system since pretty much right after I signed. The Celtics actually sent guys out to San Diego to help me learn the offense. That helped me get a little bit of a head start. I’ve kept that up these first few weeks of September, going to our facility here in Boston to make sure I don’t go into training camp cold turkey. And because I’m a veteran entering my eighth year in the league, I want to be in a position to help some other guys out, too. Much of the talk has centered around Kyrie and I, but we have a lot of great players on our team. Al Horford is a guy that I am really excited about playing with. Fans don’t understand how good Al is as a player because a lot of the stuff that he does doesn’t show up on a stat sheet. He makes the game so much easier on his teammates, whether it’s as a playmaker from the post or the top of the key, or with his ability to shoot, creating the floor space so you have more room to drive. He also has great defensive smarts, and a veteran presence in knowing how to win. I’m excited to learn from him, and hopefully help him out, too. Marcus Smart is another guy I’m looking forward to playing with. He brings so much heart to the way he plays, tough and physical out there on the court. He seems like a guy who just goes out and competes every night. He’s not afraid of the moment or big shots. You have to love having a guy like that as your teammate. And of course, we have the two young guys, Jaylen Brown and Jayson Tatum. They have so much potential, and from watching them in Summer League, I think both of them are going to be great NBA players. Jaylen Brown has crazy athleticism and explosiveness, and the ability to finish around the rim. He just seems like a smart player. And I think all the same things can be said about Jayson, too. He seems to have a great feel for the game, and that’s something you can’t teach. They’re in a great situation, too, because Coach Stevens is going to help them get better as players, put them in the right spots to be successful. Outside of all the basketball-related events, my favorite thing that I’ve experienced in Boston so far was going to the League of Legends NA LCS Finals at the Garden. I got a backstage tour of the LCS event, and got to see their production and what it takes to put an event like that on, which was cool. I also got a tour of the Garden—from a basketball standpoint, from the Bruins, just hearing all the history of it. I got to see the locker room and everything, which was something that I hadn’t done yet. Because it’s been such a busy summer, I haven’t had as much time to play video games, but I did play a lot of League of Legends in San Diego. I also got a chance to play the Destiny 2 beta, which is coming out in October on PC. The game actually came out a week or so ago on console, so I’m pretty bummed that I have to wait, but right now I am gearing up for the season, so maybe that’s a good thing. I’m just trying to get everything organized at the house for my wife and I, as well as the girls and our dog. So I do just want to thank her for everything that she has put up with, and had to put up with, and is going to continue to have to put up with. Because I wouldn’t be able to play the way I can play without her holding everything together for us. The family is good though, and all of us are excited about getting to know Boston. We’ve settled into our house, and are finally getting basically all the way moved in. Now, we’re just trying to find all the spots for my daughters, Bernie and Charlie—the little gyms that they can go to, the parks that we can go to and play at, all that good stuff. It’s funny—right now, they don’t understand too much. As long as they have their dolls and their blankets, they’re good to go. When I chose to come to Boston, it was really important to me that the team understood one thing: I don’t feel that I have reached my potential. I still feel like there’s a long way I can go, and I wanted to know that the Celtics were going to help me get there. They assured me they would, and so did Coach Stevens. Going back to Butler, Coach’s philosophy has always been, “What can you do to improve yourself today? How can I get better?” That’s resonated with me from that point all the way through to the way I approach the game now. I’m still looking to improve. After I signed I went right to work adding little bits of Coach Stevens’ offense to my workouts and taking shots that I am going to get in the system, along with just trying to expand my game all the way around and get better in every area. I’m feeling good about where things stand heading into training camp. Becoming a Celtic brings a lot of history and tradition with it. I feel that responsibility. 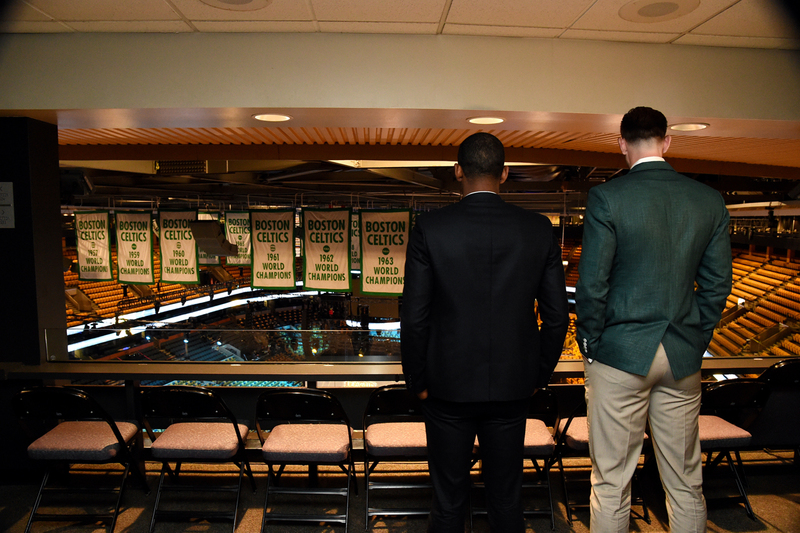 One of the biggest things that was stressed from the moment we started having conversations about me potentially joining the Celtics is that there is one goal here, and that is to win a title. You can feel that from the get-go. I want to contribute to the franchise’s continued success, and I understand that the only goal this fan base has is to win a championship. There is a lot of work that needs to be done to get there, especially on my end, but I want that pressure. I want to compete for championships. Finally, I want our fans to know that I will always give you everything I have. We might not always be successful, but if we’re not, I promise you this: I will do whatever I can to make sure that we are successful the next time. We’re a new team, but stick with us. We know what the expectations are, and together, one day, we’ll raise that 18th banner. Welcome to Boston, Gordon. As a life long C’s fan, I couldn’t be move excited to have you on the team. I’ve been a big fan for a long time, dating back to your Butler days (I was praying that shot went in – I hate Duke). Looking forward to training camp starting next week, and seeing how the team comes together and develops. I can’t wait to see you and the rest of the crew get going on October 17th. Best of luck – go C’s! Welcome to the Celtics Gordon, hope we can see you raise the eighteen banner, from a die hard Celtic fan from Caracas, Venezuela. You’re a really good Basketball Player and we want to see you shine in Green. I wish you the best, I’m really excited to watch what can we do this squad this season. 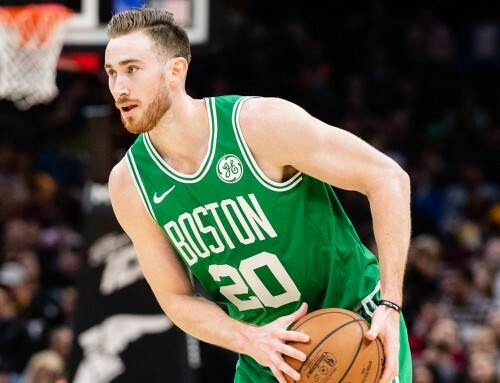 I’m excited to see you on the court in that green #20 jersey, having grown up in Massachusetts I have Boston sports blood in my veins and I’ll be the first to say that this is the most excited I’ve been for a celtics season in a long time. Good luck on the upcoming season, we will get #18 one day! Great post Gordon, welcome to Boston! Can’t wait to watch you and Kyrie tear up the court! I’m more of a Dota 2 guy but it’s awesome that you make time off the court for video games! You seem smart, and real, and the fact you want to get better, and work for it, is very exciting. This is a new team, but you guys have so much potential. This is gonna be fun. Welcome to Boston Gordon. I’m gonna cheer my heart out for you! You have so much heart and it radiates in your articles and your interviews! We’re so excited to have you and your family here in Boston – your girls are going to love it! Can’t wait to see all that this team is capable of. Go Celtics! Haven’t been this excited for a Celtics season in a long time. 10 years in fact, which was when KG and Ray joined and the Celtics went on to win banner 17. Here’s to banner 18. Welcome to Boston, Gordon! Gordon it’s very nice to hear your perspective on things. You seem like a great father and husband who has remained very grounded despite your success. I am really excited to watch as you quickly become a fan favorite here. Isaiah was so popular here because he was a true under dog who worked his tail off to become a great player here in Boston. Your stories may be different, but I feel you both share the same chip on your shoulder as you have risen to stardom from humble beginnings. We love hard working players here and I can’t wait for the season start. Lets go! Welcome to Boston, Gordon! 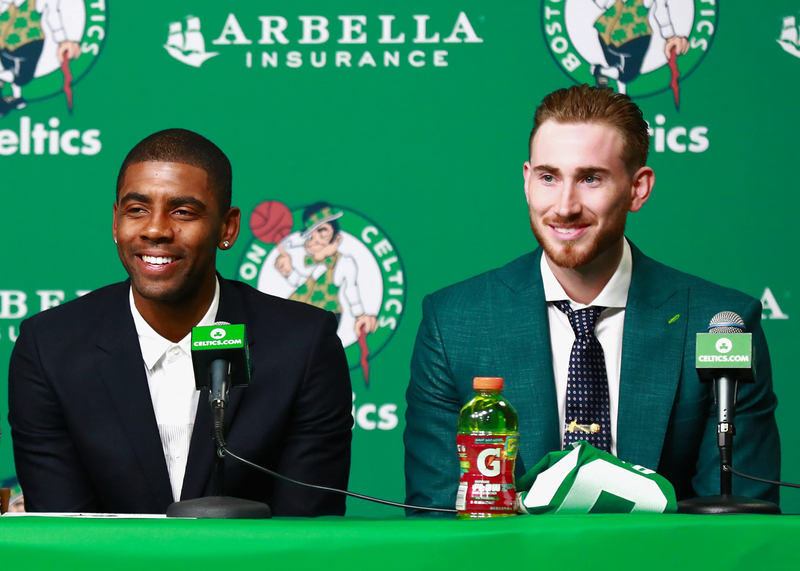 Can’t wait to see you, Kyrie, Al, and Brad in action – this offseason’s been way too long. Go get that ship and become a Celtics legend. Great read, excellent insight. My family are Celtics die hards, we are stoked to watch you and the newest additions kick into high gear and formulate a plan to win regularly! Banner 18 is alot closer than most think. It’s the mentality we have as a whole, and I am so friggin glad you’re now apart of it! Thank you GH for letting us fans know how you feel about been a Celtic. This will be an exciting season. GOD bless you and your family. I’m a Cuban-American from Miami that “Bleeds Green since 1974. 305 GREEN…GO C’s. Saw you at the LCS event and it was so cool. Hopefully I’ll be at the home opener too if I can save up the money. So excited to see you play ball this season, you’re an amazing player and an even better guy, you go Boston behind you! Jazz fans miss you GH! It was hard at first but I think most of us are ready to move on and wish you nothing but the best. Thank you for all you did here in Utah and how you represented yourself and our community! Nothing but love! Have a great season. Welcome to Boston, Gordon! I had hoped we could get you when you were an RFA. It always seemed like the logical destination. Can’t wait to see what you all will do under Coach Brad’s leadership. I haven’t been this excited since Walton joined Bird, McHale, Parish, Johnson and Ainge in 86! Welcome to the Celtics, Gordon. Great things are coming, the honesty of your words confirm that. I am a 30 years die hard fan from Republic of Panamá and I know when a player will shine in Boston. Eh, I could care less that you’re here. I can only hope you don’t hold is hostage like you did Utah if things don’t go your way. You really held them over a barrrel by holding out so long. Welcome to Beantown, Gordon! Thank you for coming here! I am so pumped for this team!!! I am with you Gordon, you will get that ring next year. Greetings from Barcelona, Spain (well… yet). As a Timbertrolls follower and die-hard TheGoldenBoy Ricky Rubio fan I was expectant to see you play with him. It won’t happen but no hard feelings. I think Boston and you make a nice fit. It looks sorta adequated. It was meant to be so. You look a bit Gaelic yourself. I should inform you the Boston Spanish fans at acb.com Forum got you a cool nickname: “Alcántara”. (Furthermore, I consider Tolliver must be re-signed). Wish you a warm welcome to the Celtics team! Let’s bring that NBA title back where it belongs! Gordon, I’m not sure what those city folks have told ya, but it’s not just Boston that is ravenous for the Cs. All of New England grows up on Boston sports. There are a ton of folks up in VT, NH, and Maine that will be cheering and griping at their TVs for much of the season and will make the trek down to see you and the rest of the squad represent the beloved Celtics. I made that trip last year and it happened to be against the Jazz. I’m excited to see you put in some work and continue the Celtics tradition. We all value strong Yankee work ethic, and that quality will get you through the poor shooting nights and the games where your opponents are unconscious from everywhere on the floor. We sometimes take our sports a bit too serious and the weight of the frustration we have in our day-to-day gets thrust upon you and the rest of the guys. That said, it cuts both ways, and you’d be hard pressed to find a fan base that will prop you up on it’s shoulder with such passion and glee when you are successful. Welcome to New England. I’ll be down at some point. When you need a break from the hubbub, bring the family on up to my beautiful home state of Maine. There’s a.lot.of Indiana neighborliness up he’ah. Hey Gordon, we’ll miss you in Utah not only because of what you did for the Jazz but because of the great example you were for the kids, and everyone for that matter here in Utah. It’s far too common in professional sports to see players who are really screw up. Gordon you’re an examples of the very best in the league. Congratulations to your parents for raising a wonderful young man. All the best in Boston. This is from a HUGE Utah Jazz fan who lives in Boston. I don’t support a single Boston sports team, but I do recognize this city has some amazing sports history and franchises. I don’t think anyone has the right to question the decision you made this summer. You earned that right by improving as a player every year you were in the league. I remember the Jazz drafting you ahead of Paul George. It made me wonder if it was the right decision. I remember the first game you played as Jazz player; Utah was losing, and in the latter stages of the game a frustrated Deron Williams through a pass at you with some venom, probably irritated you weren’t in the right spot. I wondered then how you’d do in the league. You did great and were idolized by Jazz fans. And then you became an All Star and the close knit Utah Jazz family held you in even higher esteem. But the way you handled free agency, your wishy-washy approach to your decision, dragging it out longer than you needed to – that was truly disappointing. And some of your blog post announcing your decision and explaining why, it really seemed uncalled for. Sure, you praise the Jazz organization and I truly believe you meant it. But to say you were headed to Boston to reunite with Brad Stevens to take care of unfinished business from Butler?! What about unfinished business with the Jazz, who really have built a team capable of competing? What about years of investment to get you to a position that gave you an opportunity to realize your true potential? How about finishing what you started with Utah? The way you handled it really betrayed an underlying immaturity, something I think most Jazz fans did not know existed. Good luck with the Celtics. Boston fans are some of the best around – loyal, often obnoxious, but then again, you need that on your side! Just think things through more thoroughly next time before making a decision. Be a little stronger in your convictions. You just said and I quote “I don’t think anyone has the right to question the decision you made this summer. You earned that right by improving as a player every year you were in the league” and then you shoot him in the back nice, so social media had nothing to do with leaking and making this whole thing look bad? He “earned” it remember? so don’t pick on the way he went about getting it done it was a first time experience, get over it!!!! Yeah sorry, a first time experience is riding a roller coaster when you’ve had one too many things to eat, and then puking your guts out. This is professional sports. Don’t blame social media for the fiasco. You want to do right by the team that developed you every year, then make your decision promptly so that the vacuum you leave can be filled. Don’t drag things along. That’s all every Jazz fan asked for. So I stand by what I said – nobody has a right to question his decision to leave, but the way it was done left a lot to be desired. I’m a husband, father and hooper (Even though I’m in my mid 40’s) from Indiana. You are representing our state well. You are a role model to your fellow NBA players. I’m really looking forward to watching your Celtics and the Pacers this season. Thanks for your honesty and integrity. Your parents raised you well and you have kept those principles. Good luck this season. May your road be blessed. Welcome to Boston Gordon! Been watching your game improve dramatically over the last couple of years and am truly excited to have you join the green. Go get Banner 18! It still hasn’t sunk in that we Celtics fans are lucky enough to have the privilege to watch this guy night in and night out. I have to pinch myself still. That sounded heartfelt. Good luck in all future endeavors. Hey Gordon! Welcome to Boston! Man, the part on IT’s impact on your decision tore open the wound… but I’m glad you seem as high on Kyrie as the front office. Like you, he’s stressed how he’s trying to reach his full potential. If anyone can help him to realize it, it’s coach Stevens. Even with all the turnover I’m confident Stevens will find the balance in roles and scheme to make the C’s top contenders this season and beyond. 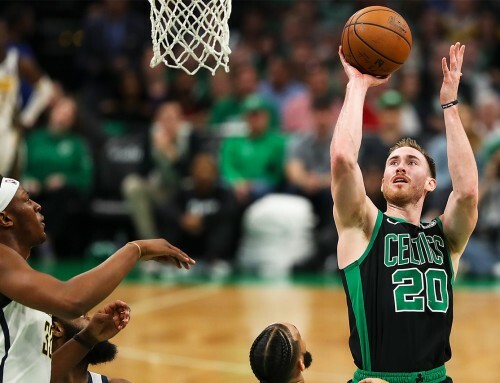 It’s not just on blind faith, Stevens worked through a complete rebuild with over 40 new players from 2013-2015 and made previous role players like Evan Turner shine while making the playoffs three years straight, improving as serious contenders–just as you’ve improved your game– each and every season. With star power like you Kyrie, Big Al Horford and budding stars in Brown/Tatum/Smart etc. this is the most talented roster since the Big 3 era. Best part is it’s built to contend now and positioned to contend for another decade! Hope you’ll be a Celtic for the rest of your career while raising multiple banners! G! Thanks for the time you spent in Utah. You will be missed and I am one of those people that do wish you the best in Boston. Everything in life is about progressing and moving forward. Take advantage of every opportunity. People don’t understand life when they are negative and look at the decision you made. They just focus on sports and the fan portion, not the business side. It is what it is. It does stink that we have to grow without you in utah. They definitely were putting a great team around you to help you and the team progress even more. Oh well! Everyone will still make their money. Do your best and continue to be a great example and a role model. Go get some wins and represent at all times. That’s what you’re paid to do. Good thing you love what you get paid to do! Welcome GH great article we are pumped to have a player like you in Boston let’s do this thing!! Can’t wait to watch y’all play on the parquet! I’ll be going to the game in January when y’all come to Denver! Much love, from a diehard Celtics (and Boston sports) fan in Denver from Hawaii! Wow, really a great piece and such a valuable insight in your mind, Gordon! Now it’s not just your game that I’m happy we got, but also an individual that shows all the characteristics of a true Celtic! Welcome to Boston! Let’s get that #18! I’m sure you will also realize soon what is yet another Cs extra value – huge international support… Cheers from Croatia! Welcome…can not wait to watch you guys play..thanks for posting it’s interesting to hear about how you go about your business and how it’s been for you since signing…hope you and your family grow to love Boston and New England…best of luck..so excited!!! GO CELTS!! It’s great to read a piece like this from a player of your caliber coming into the great city of Boston. I can’t wait to watch you and the C’s play this year and hope that I can make it out to some games. As I am sure it was a big decision and a tough move to come to Boston, I am glad to hear you and your family are doing well (family is number one priority – I have a wife and two young kids as well). Keep putting in the great work and hope to see you around town sometime! Good luck to our team Gordon.A big fan of you the last years cause you are a great player and you dont get the respect you deserve also I like the way you play very much.Hope you will manage to get a title that will be something amazing cause you have to deal with 2(at least) great teams.Greetings from Greece and one of your biggest fans. Jazz Nation wishing you the best and a speedy recovery. So sad to hear the recent news. Put in that work and head up through the process brother WE ALL got you prayers out to you my guy! Hope all is well with the foot Gordon. Missing you out on the court for sure, but know you’ll put in 100% to get back out there, and we can’t wait. Question, How do I go about getting an autograph? 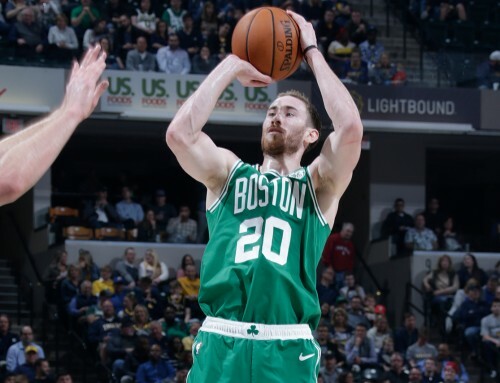 Love to send you my Hayward jersey for a sign if that’s even possible. Need to get up my favorite Celtic in the mancave asap. I know it’s a long shot but worth a try. Stay up bud! 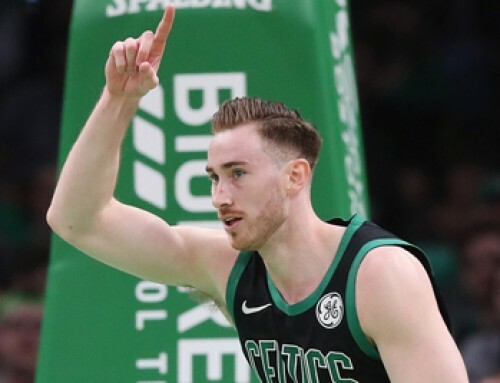 hey Gordon, when you get better the celtics are gonna go straight to the Finals, and i’m pretty sure you’d be MVP.